What if Terrelle Pryor Didn’t Get Suspended in 2011? We are officially in the terrible dead area between college basketball ending and college football beginning. So with fall camp not starting for a little while, I am going to take a look back at the past few years at Ohio State instead of looking forward to the upcoming year. I think we can all agree that a major turning point in Ohio State history was the tattoo scandal that led to Jim Tressel leaving, and multiple players, including Pryor, to be suspended. I have no way of knowing exactly what would have happened so this blog will be pure speculation. If you disagree or offer an opposing opinion on what would have happened, feel free to reach out to me to discuss. 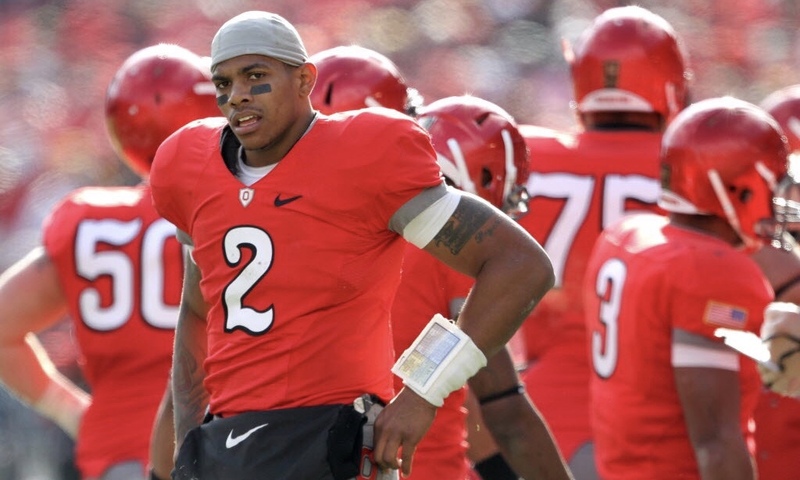 In 2010, Pryor had an elite season as a junior starting quarterback for Ohio State. He completed 65% of his passes for about 2800 yards and 27 touchdowns. He even added on almost 800 yards rushing on the year and 4 rushing touchdowns. Through his heroics, Ohio State was able to roll to a 12-1 record and a Sugar Bowl win over an SEC team, Arkansas. It was in that offseason when the tattoo for memorabilia scandal sent waves through the Ohio State program. Coming back in 2011, Pryor along with starting lineman Mike Adams, starting running back Boom Herron, and number 2 receiver Devier Posey were suspended for the first 5 games. With the suspension to Pryor, Ohio State had to open the season with perennial backup Joe Bauserman at starting quarterback, before eventually replacing him with star freshman phenom Braxton Miller. Outside of these unproven quarterbacks, Ohio State had a ton of talent on the 2011 team. On offense they had former NFL players in Carlos Hyde, Corey “Philly” Brown, Devin Smith, and Reid Fragel. On defense, they also had future NFL players everywhere, including Big Jon Hankins, Ryan Shazier (Shalieve), John Simon, and Bradley Roby. So the key to remember here is that they had a ton of talent, and had they had the most important piece, the QB, Ohio State could have done damage that year. We all of course know how that 2011 season went for Ohio State. They finished 6-6 in the regular season, before losing to Florida in the Gator Bowl. The highlight of the season was definitely the stunning upset win over Wisconsin, finished off with the spectacular play by Braxton Miller below. Now, I think if Pryor would have been there in 2011, we would have missed out on this fantastic moment, and maybe even lost to Wisconsin, as we did in 2010. But what I am almost 100% sure of is that we would have avoided the low point of that season. That year was the lone year since 2003 that we lost to our rivals. While it was a great game, Ohio State came up short in the last game of the year by a score of 40-34. I can guarantee Pryor would have beaten those damn Wolverines and would have finished his career 4-0 against that team up north. He would have been the first QB to go 4-0 against the other team in the history of that series (though the feat would have been repeated only a few years later by the best QB in Ohio State history, JT Barrett). Looking at the remaining games on the schedule it’s easy to see how the season could have turned out differently. 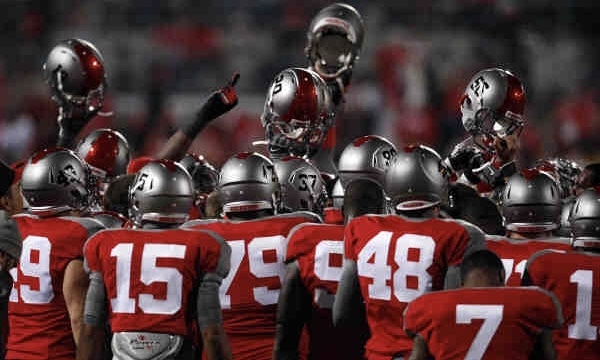 After finishing 2010 5th in the AP poll, Ohio State would have been highly ranked coming into the 2011 season, and would have been favored in nearly every game. 3 of their losses that year were against unranked teams, something that certainly would not have happened with Pryor under center. Other losses included Nebraska, Penn State and that team up north. As someone who was at that Penn State game in 2011, I am sure that a QB who was actually a threat to throw the ball would have been a game changer in that close loss, and all of a sudden we are talking about Ohio State staring down the barrel of an 11-1 or a 12-0 season and another berth in a BCS bowl. Ohio State had been to a BCS bowl in 2005-2010 and Pryor would have had the streak continuing into the next season. The big question, of course, is after a BCS bowl season, would Ohio State have brought on Luke Fickell full time? Or still have brought on Urban Meyer? It is in my personal (probably very biased opinion) that Ohio State was Urban Meyer’s dream job. Once he recovered from his heart problems that stemmed from his time at Florida, he would most likely look to return to coaching, but only for the right opportunity (again, speculation here as I have no way of knowing Urban Meyer’s thoughts and feelings). I also believe that, at the time, Fickell was perfectly fine being a Defensive Coordinator, and excelling at it. 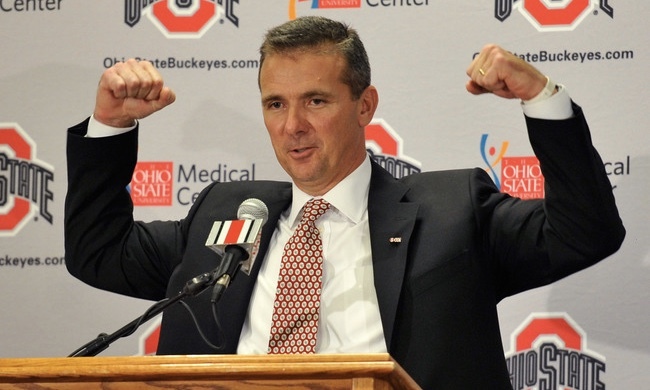 So, in the end, Urban still would have come back to Ohio State and turned it into the powerhouse it is now. Pryor coming back would have affected the following seasons also. In 2012, Braxton Miller would have gotten his first opportunity to start. It would be at this time that he could’ve gone through the growing pains he experienced in 2011, but without postseason implications on the line (as Ohio State had a bowl ban in 2012). He could’ve used this first season to grow under a better coach, Meyer instead of Fickell. This would have, in my opinion, helped Braxton Miller because he would be able to spend the entirety of his time as starting QB under one system instead of transitioning from Fickell’s to Urban’s. 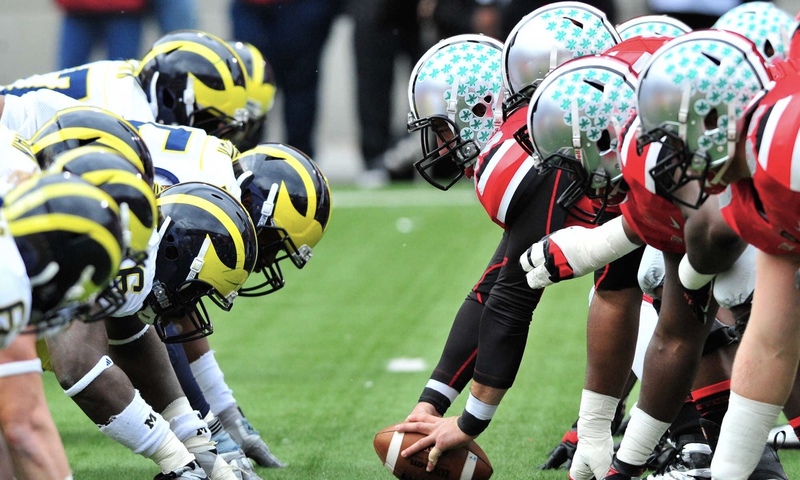 With this added help, things might have gone differently for the Buckeyes against Michigan State in 2013 and the Buckeyes could have gotten a shot at the BCS national championship instead of losing in the Orange Bowl to Clemson in the game that effectively ended Braxton Miller’s Ohio State QB career. Overall, Pryor’s suspension and eventual declaration for the draft would have had reverberating effects for Ohio State in the near and not so near future. They could have avoided what could have been the worst season in Ohio State history, while also avoiding a loss to their biggest rival. They probably still would’ve gotten Urban Meyer and could have had a better shot at a national championship in 2013. It’s safe to say Ohio State would be even better off today (if that’s possible) had Pryor not gotten suspended in 2011.